Neato Robotics create some of the best robot vacuum cleaners on the market, with unprecedented control over the movements and machinations of your obedient vacuum. Today, Neato is rolling out a new software update to allow users to customize their cleaning even further. The Botvac D7 Connected, Neato's flagship robot vacuum, is able to scan individual rooms to create its own virtual floor plan and figure out a practical cleaning route. Following the update, users will now be able to break those floor plans down into smaller 'zones' for more targeted cleaning – say, if there's a section of the carpet that regularly tracks in dirt, or part of the kitchen more prone to culinary debris. Users just have to open the Neato smartphone app and set the zone parameters – with the option of multiple, overlapping zones for whatever your cleaning needs are that day. The Botvac D7 connected retails for £799 / $799 (around AU$1,080). The update will also be enhancing the capabilities of the Neato Botvac D3 Connected vacuum, which offers more basic smart features and less suction / battery life than the D7 flagship. 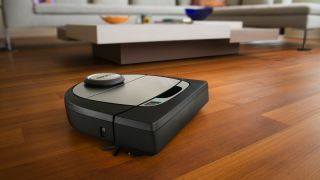 Instead of zone cleaning, the D3 Connected will instead be receiving a feature already available on the D7: 'No-Go Lines' to ensure parts of your home stay off limits during autonomous cleaning. The update arrives on Tuesday 4 December, for Neato app version 2.8.0 and robot software version 4.3.1. Both models are compatible with Apple Watch, or through voice-activated smart home speakers Amazon Echo and Google Home. Best vacuum cleaners 2018: will cordless, wired, or robot vacuums catch your eye?